I keep telling myself not to worry, because really, he won’t walk down the aisle with it. Right? Right! Forsure. When my first son turned 2 my pediatrician told us to get him off the bottle. Let me explain that Z LOVED his bottle. Milk was not allowed in a cup…it had to be the bottle. But I knew he was about the right age to move from bottle to cup. After experimenting with (ALOT) of different sippy cups, we finally found “the One” and weened him one “feed” at a time. Easy peasy…I could do it once, I could do it again. 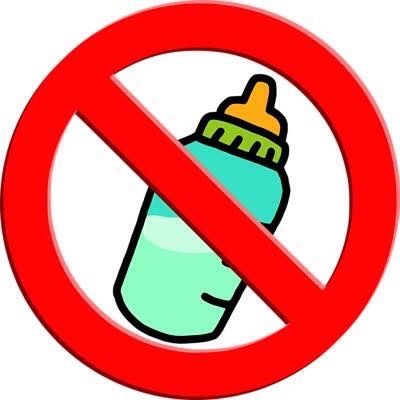 After speaking to some friends and family about when they took away their childrens bottles, it seems the average person did it between the ages of 1 – 1.5 years old. Man! I am missing the mark here! T is just over 2 years old and shows absolutely NO interest in giving up his bottle. Water in a sippy cup, juice in a sippy cup, even chocolate milk in a sippy cup is fine. CHOCOLATE MILK! Its still milk! Yet to him, the brown or white seems to make all the difference! Some might think I’m crazy for not trying to get him away from the bottle earlier, but there are reasons for that (that’s for another post). But now, I really think it is time I get to it. I have tried, and have succeeded in a few sips here and there. Different cups have been used, even a plastic mug, just like his brothers, with a straw. Sips no problem. But a full drink, never. Yet in a bottle this kid can down 5 or 6 ounces faster than I can say sippy cup. So, my work is cut out for me. Wish me luck. It will be okay. I mean, just like he learned to walk, he will learn to drink milk from a cup, right? Well, no matter when it happens, I just remind myself, he won’t walk down the aisle with it. At least he better not! What age did your little one stop drinking from a bottle?